Flower Essences are the most subtle vibrations or energy bodies of different flowers collected and preserved in pure water and brandy. They are not fragrances! They help to harmonize our energy bodies and bring balance and understanding into our personal issues and life patterns. A Buddhafield is an energy-field inspired by a Buddha, an enlightened being, a person who has realized the absolute potential, who lives in ultimate flowering. A Buddhafield enhances each individual’s spiritual maturity so that they can realize their true nature. The Buddhafield in Pune, India, was created by the enlightened master Osho. Taken at the Osho Teerth - Nala Park: A Buddhafield. The Flower Essences of the Buddhafield™ were inspired by the experience of living in the Osho International Commune in Pune. Most of the flowers have been found growing around the Commune. Some had to be brought from the West, All the essences have been charged with the high vibrations of the Buddhafield. The Buddhafield Flowers respond to the different collective issues that affect people who are growing in love and meditation. The essences encourage people to become individuals, leading them towards transformation and the realization of their own potential, their 'Buddha nature'. How do the Flower Essences work? The Buddhafield Flower Essences™ work by floating our energy bodies in the beautiful vibration of a pure consciousness. The flowers help to melt the tensions held in the different charkas and subtle bodies. These tensions have been created by behavioral patterns, which we still are holding onto from the past. The flowers harmonise our energy flows and as the aura expands, we experience more light and deeper understanding of our personal issues. The Buddhafield flowers™ support tuning into our intuitive knowing, transcending the mind, pointing to Absolute Truth and with it – transformation. The essences balance our male and female qualities and create deeper relaxation on all levels. The flowers are great support for meditation and for recognition of our resting and creative natural self. The essences can be used as catalysts in different therapeutic processes and in meditation and can be used in combination with any body work or energy work. 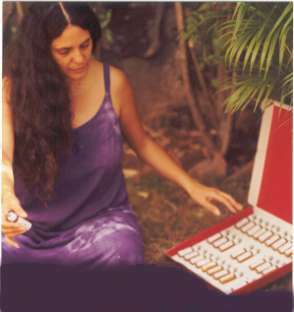 On the physical body level, the essences help to prevent illness. In addition, they rejuvenate the tissues and slow down the ageing process! The essences can also be used as complementary energetic support during any medical treatment. The Flower Essences of the Buddhafield are not a substitute for medical care. How to use the Flower Essences? The essences in this set are stock bottles and can be diluted in several ways. slowly. Or put 10 drops of each essence into a one litre of water and sip slowly throughout the day. Regularly : For a few days or weeks. Prepare a mix bottle with one or up to 7 essences using a 30 ml bottle with dropper. Use about 4-7 drops of each essence. Add some brandy to help preserve the mix and fill the rest with fresh drinking water. Take 4 to 5 drops of the mix 4 to 5 times a day, or just follow your feelings. Meditation : The essences can be used for meditation by holding or laying the bottles on different areas or Chakras of the body. It is good to stay still and relax for about 10-40 minutes. General Response to Flower Essences : You may find yourself being drawn into some active, transformative process. You may feel more flowing, blissful and at ease with yourself. The essences may affect your dreams and bring more clarity into your life. The stock bottles are prepared by hand in a clean and meditative way. The flowers are self-adjusting, so no harm is done if you overdose. If the ‘wrong’ flower is taken, nothing will be felt, as there is no energy block for the essence to work upon. It will simply wash away. You will know the flowers have done their work when you have no desire to take them anymore. This could be a good time to recheck for a new mix. The essences will not interfere with homeopathic or allopathic medicines, can be used by people of all ages, by animals or plants. Treat your essence bottles sensitively. Open and close them carefully! Do not touch the glass pipette with your hands or your mouth, as germs may contaminate your essence. If your essences have been untouched for a while, a sediment may show at the bottom of the bottle. This will not change the quality of the essence. How to choose your essences? How to experience the Energy of the essences, and choose the ones you need? Sit comfortably, rest your hands palm up on your knees. Breathe in from the belly (hara) into the heart. When you breathe out, bring the energy from your heart down through your arms and into your hands. the energy vibrating from each flower essence. Pick up the essences that your energy feels attracted to. you picked on your energy-field (aura). These essences can give you an indication of the issues which are present in your life.